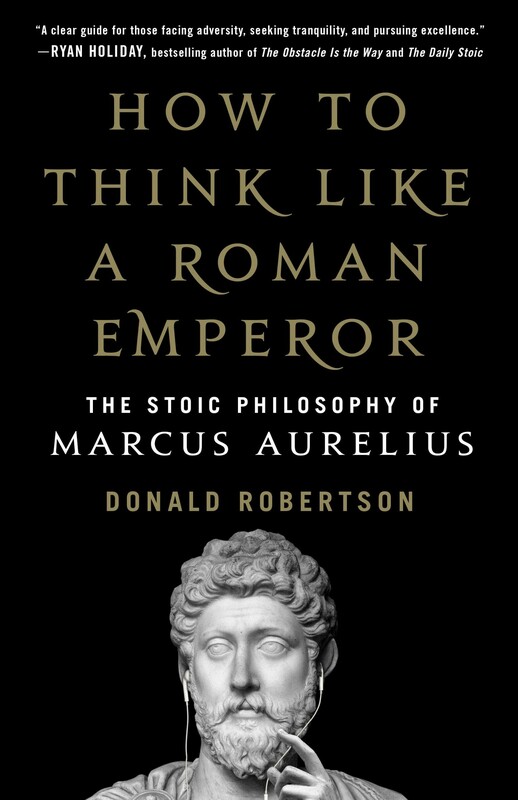 Earlier last week, I received an email from St. Martin’s Press, offering MettaStoic an advanced copy of How to Think Like a Roman Emperor: The Stoic Philosophy of Marcus Aurelius by Donald Robertson. Since I received it, I couldn’t put it down — it sat adjacent to my bed on the nightstand, and was the first thing I read in the morning, as well as the last before sleep. So, let’s get started with our review. This is sort of self-evident from glimpsing the title, but it offers so much more. Clearly, it’s about thinking like Marcus Aurelius. However, in order to accomplish this, we’d have to dig into Marcus’s life — his education, family, notable events, etc. Indeed, Donald does a great job at dissecting the life of Marcus Aurelius and digging into the Meditations, giving us a greater understanding of what Marcus was thinking at the time of writing in his journal, offering the sources to where Marcus may have come across his ideas, and, perhaps, what Marcus might have thought as he marched into battle. How to Think Like a Roman Emperor is a book that will put your mind in ancient Rome, almost observing Marcus himself, allowing you to imagine how to think like him (which is a Stoic exercise outlined in the book). We’ll become familiar with names of people frequently mentioned in the Meditations as well. Who was Fronto, Rusticus, Apollonius, etc.? What impact did they have on the life of the future emperor? In How to Think Like a Roman Emperor, we’ll learn the answer to these questions, and more. Again, giving us a greater understanding of Marcus’s handbook. Not only will we learn about Marcus — which is worth the book in itself — but we’ll also see how the ancient Stoics were far ahead of their time when it came to coping with fear, anger, anxiety, pain, etc. They were indeed masters of psychology, and have inspired modern psychological exercises, which Donald lays the groundwork for you to learn how to apply them into your own life, paving the way for your improvement. This entire book is designed to help you follow Marcus in acquiring Stoic strength of mind and eventually a more profound sense of fulfillment. I will definitely vouch for this, and say the book indeed holds true to these words. Personally, I think this book should be read by everyone, but people who specifically find Stoicism, Marcus Aurelius, ancient Rome, and/or psychology interesting will enjoy this book; it will undoubtedly serve you well and impact your life in a positive way. As a final note, if you have read the Meditations of Marcus Aurelius, reading How to Think Like a Roman Emperor will allow you to read it again with a newfound clarity. Have questions about this book or anything else? Post them in the comments below, and we’ll do our best to answer. Providing updates for the MettaStoic Website, as well as other writings about Stoicism, meditation, etc.